Chelsea today announced the signing of Christian Pulisic from Borussia Dortmund for a fee of £58 million. The USA international will spend the remainder of the season on loan at the German club before joining up with Chelsea in the summer. What this means for the likes of Eden Hazard, who has not shied away from expressing his desire to play for Real Madrid one day, or Willian and Pedro, both of whom are now in their thirties, is yet to become clear. What the transfer means for Callum Hudson-Odoi is less ambiguous. 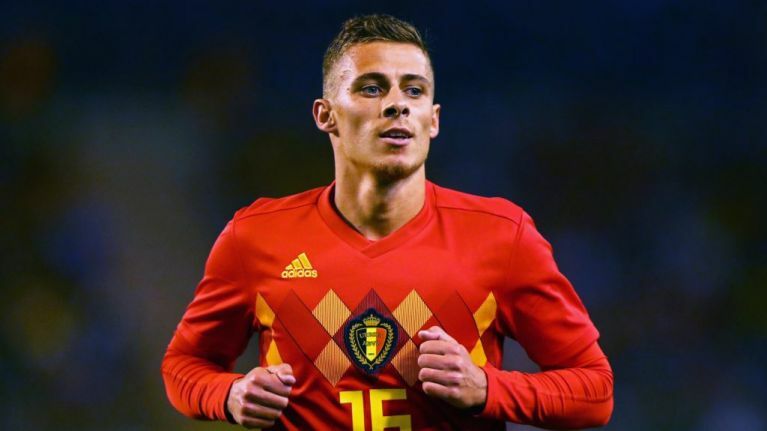 Dortmund are already on the lookout for a replacement, and have identified Thorgan Hazard, younger brother of Eden, as a target, according to Belgian journalist Kristof Terreur. Thorgan Hazard has played for Borussia Mönchendgladbach since 2014, initially on loan before signing permanently from Chelsea, for whom he made no league appearances. Hazard's current contract with Gladbach ends in 2020, making the summer of 2019 the perfect time for the Bundesliga leaders to swoop in with a bid. Now 25, Hazard has steadily improved with every season he's spent in Germany, adding goals to his game - he has nine already this season, just one off his tally from last season. Dortmund would likely be able to sign him for a lot less money than they are getting for Pulisic, and he should have no trouble fitting in at the club, especially while Favre is still there. The pair spent one season together at Gladbach, and the Swiss manager is clearly a big fan. Terreur also reports that there has been no contact made between Real Madrid and Chelsea over the sale of Eden Hazard, a move which would have made logical sense now that Chelsea have signed Pulisic. However, no contact has been made yet and Hazard's recent move into the centre of Chelsea's front three could create space for him and Pulisic to play together at Stamford Bridge.